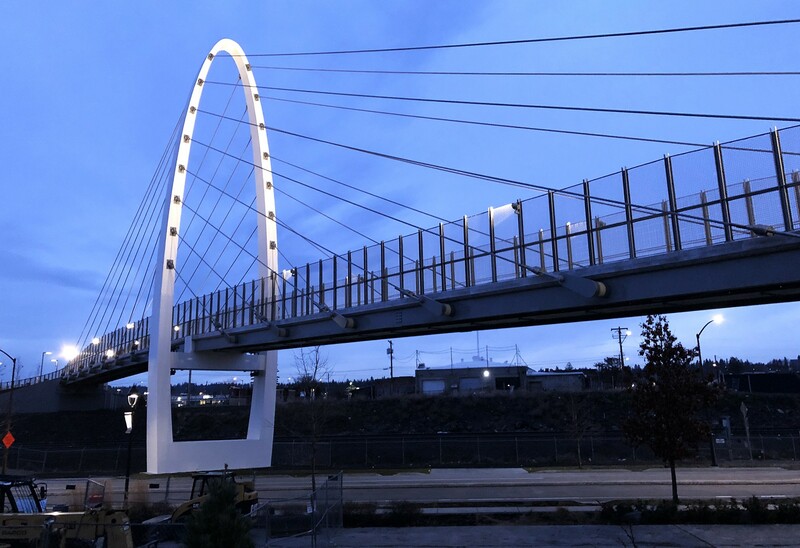 The University District Gateway Bridge opened Friday, Dec. 14 to pedestrians and cyclists, connecting the University District and East Sprague. 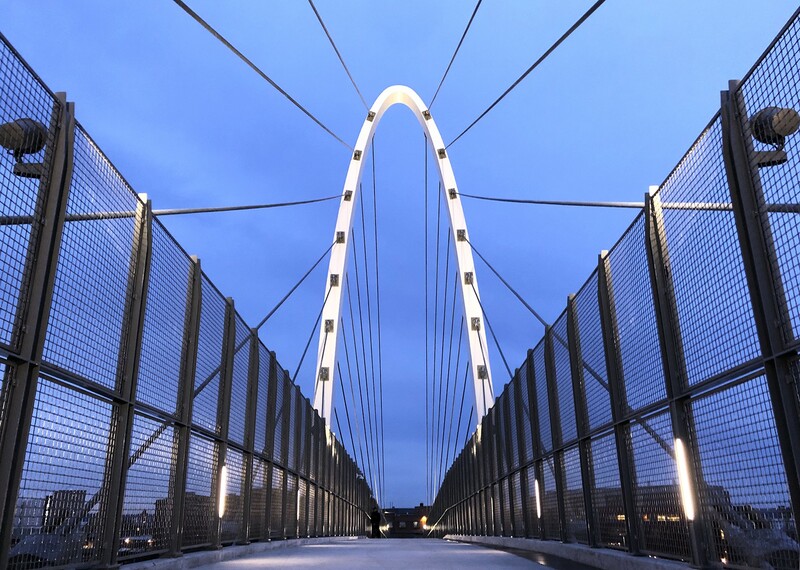 While it didn't wind up with a catchier name like Bridgey McBridge Face, the University District Gateway Bridge has at least achieved its major milestone: It's open! As of Friday, Dec. 14, pedestrians and cyclists can now use the span to cross the train tracks from the University District in downtown Spokane to East Sprague. The 120-foot tall bridge, which hit delays and didn't open in September as expected after there were problems involving tension cables, cost about $13.2 million to put in. Final totals for the cost of construction work, which was awarded at $9.5 million, won't be ready for a while, explains Spokane city spokeswoman Marlene Feist, but she doesn't know of or expect any major changes to that number. The other costs included design and costs to acquire the right of way in that area. Crews were playing with different options for illuminating the bridge with colorful lights on Thursday, Feist says, and the U-District will be able to change those colors going forward. The test runs showed that a festive red and green were working well, but university colors could easily go on display, too. "It’s kind of fun to be able to have some different options there," Feist says, "especially this time of year when it’s dark."